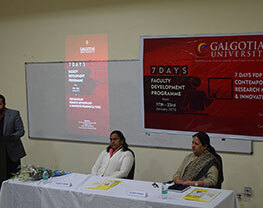 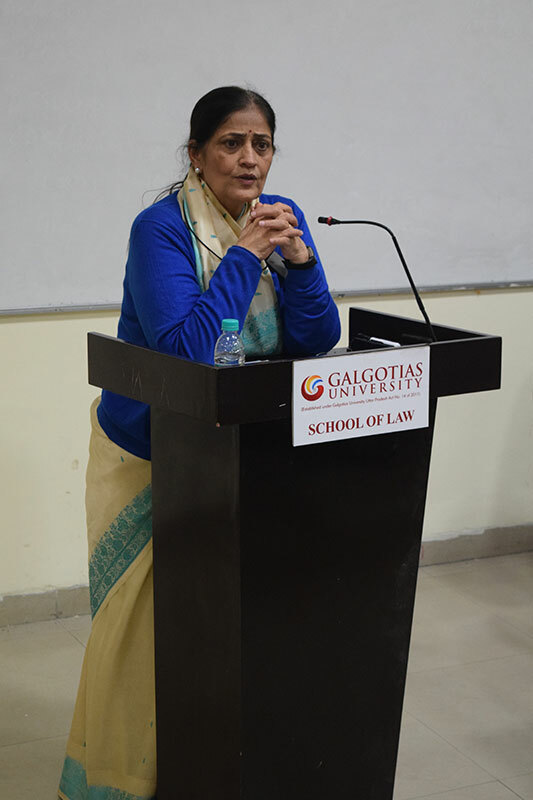 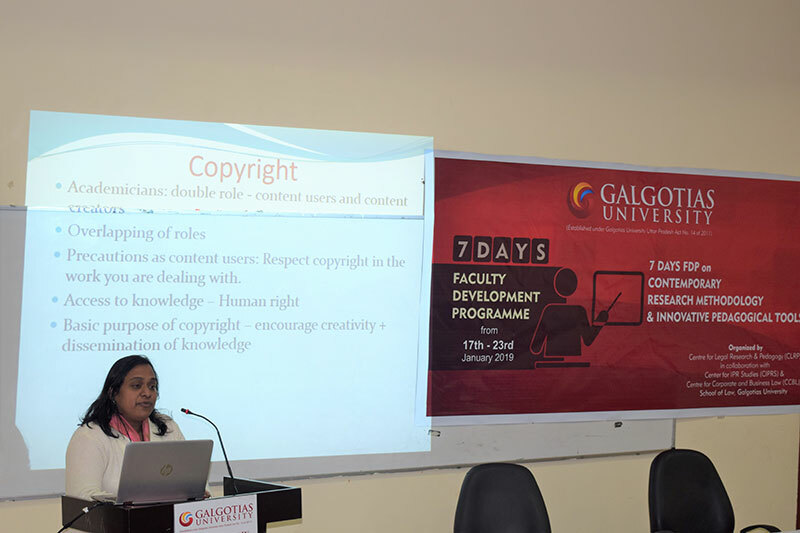 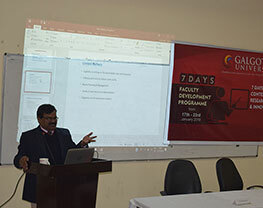 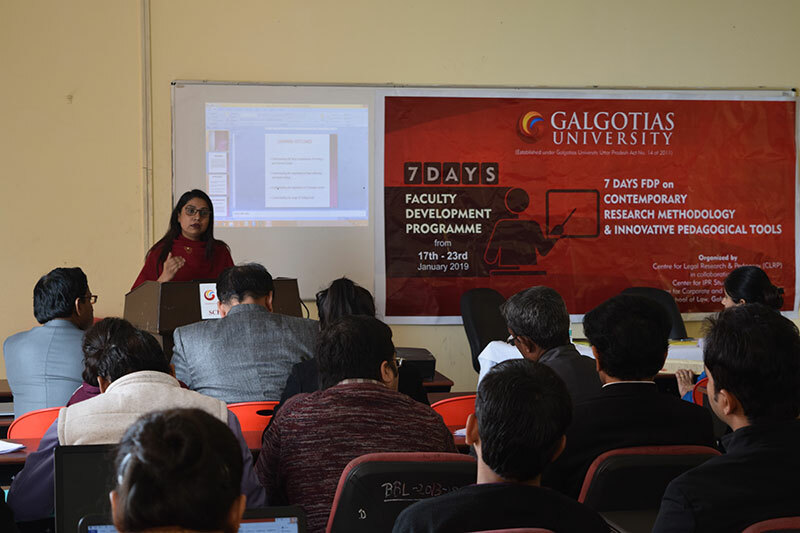 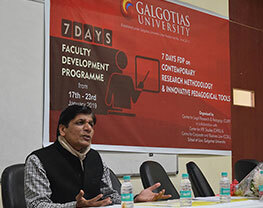 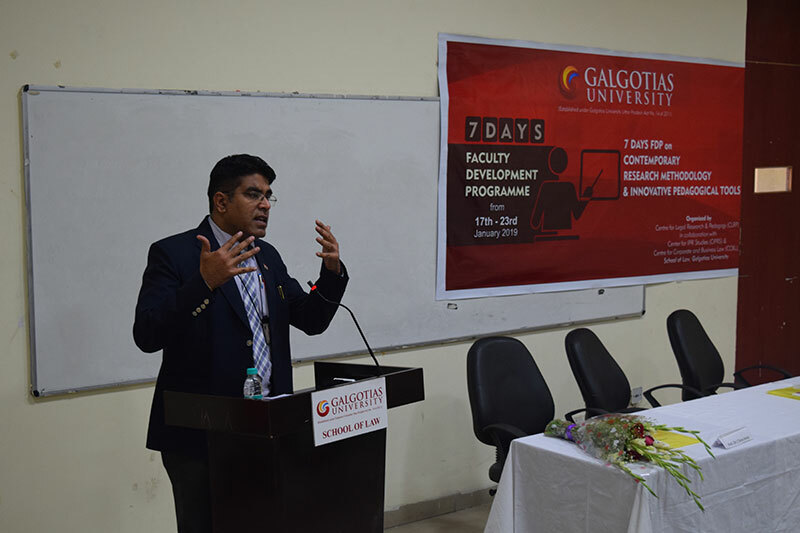 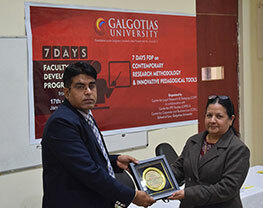 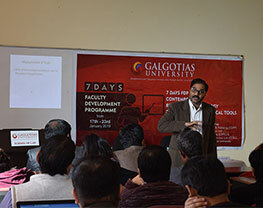 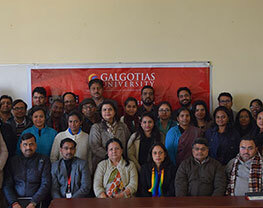 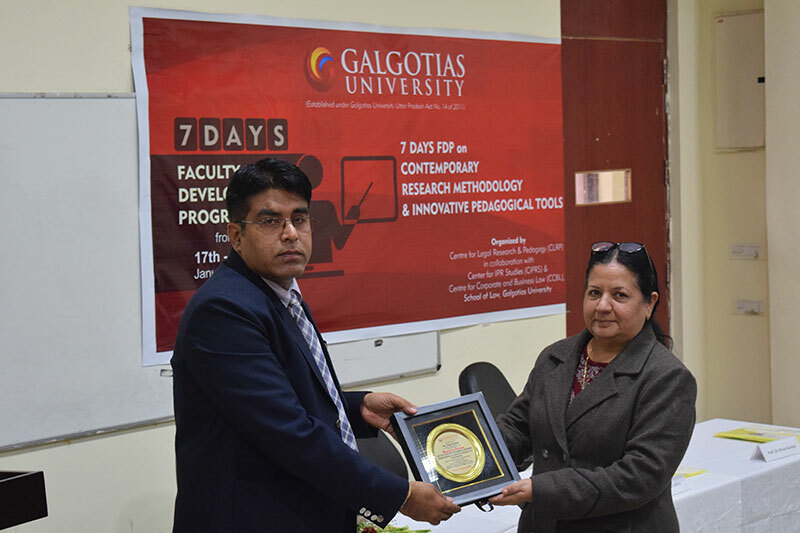 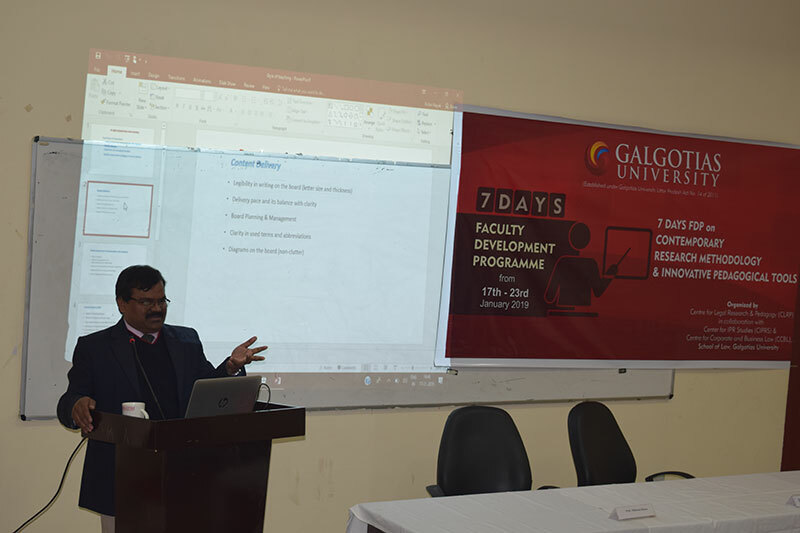 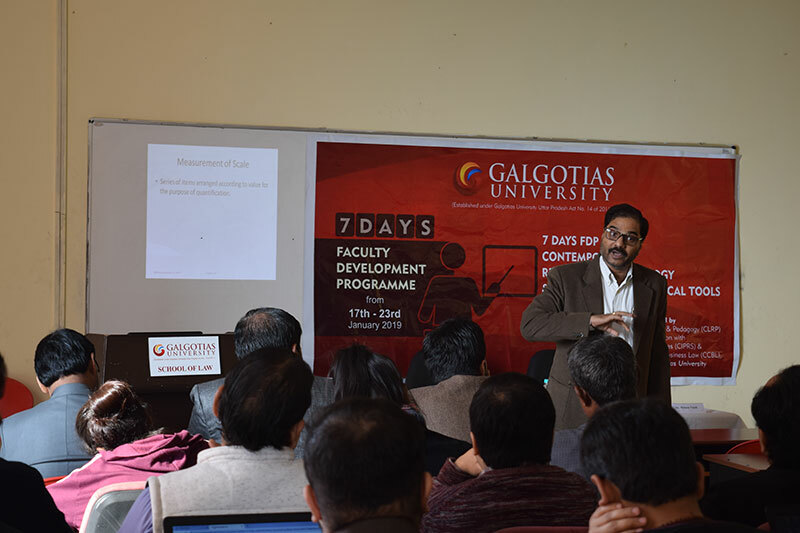 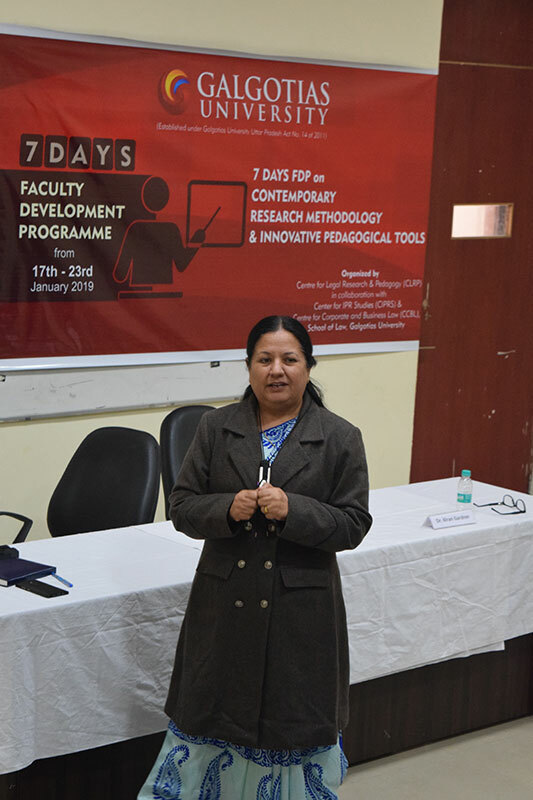 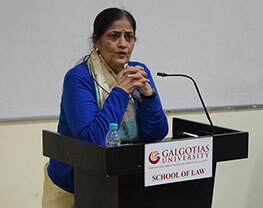 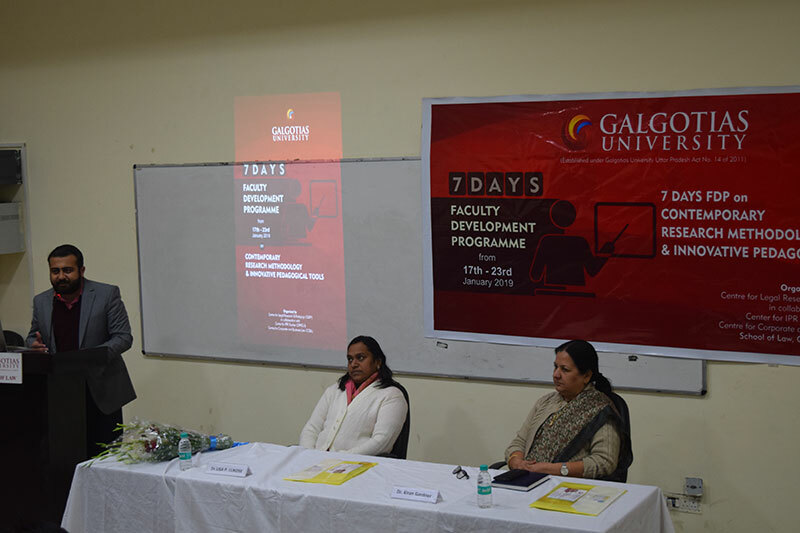 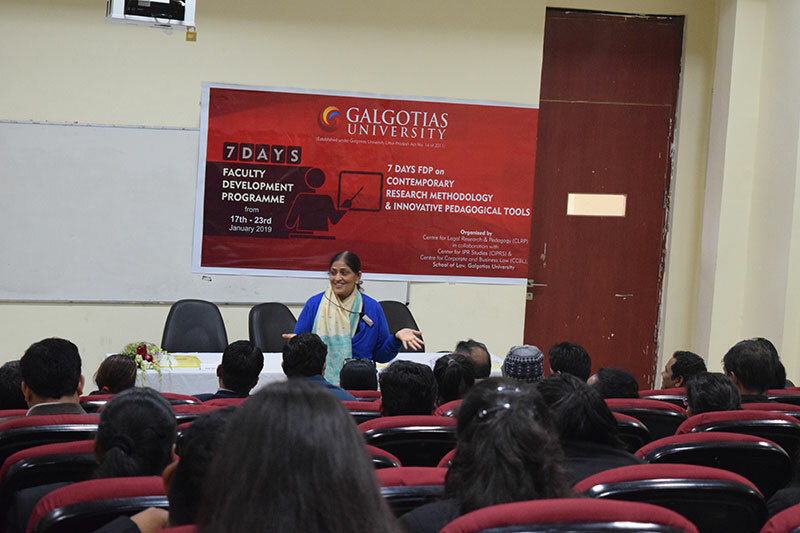 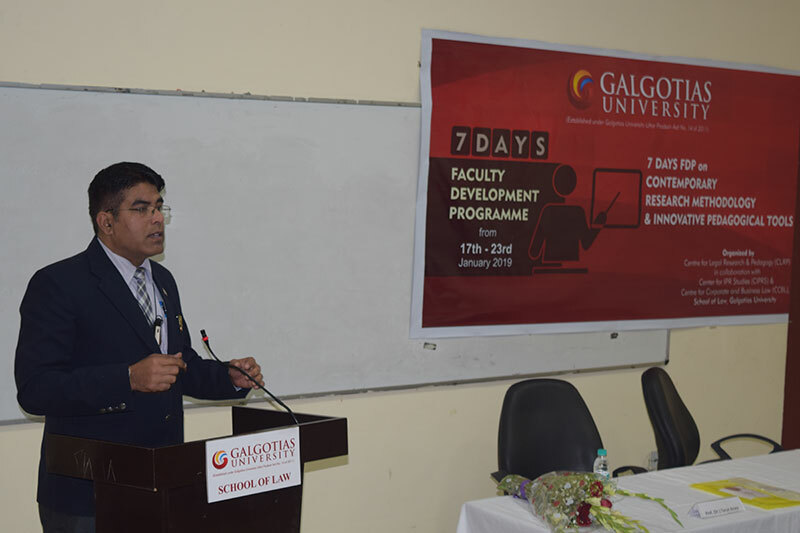 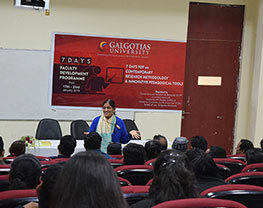 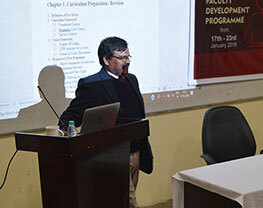 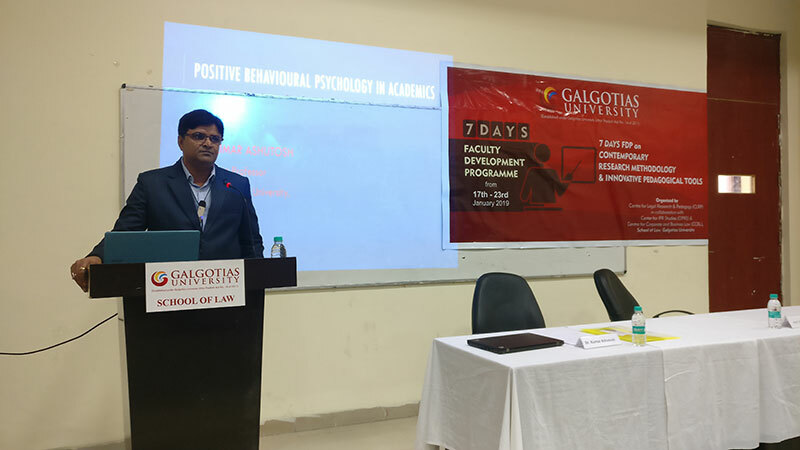 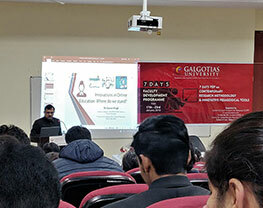 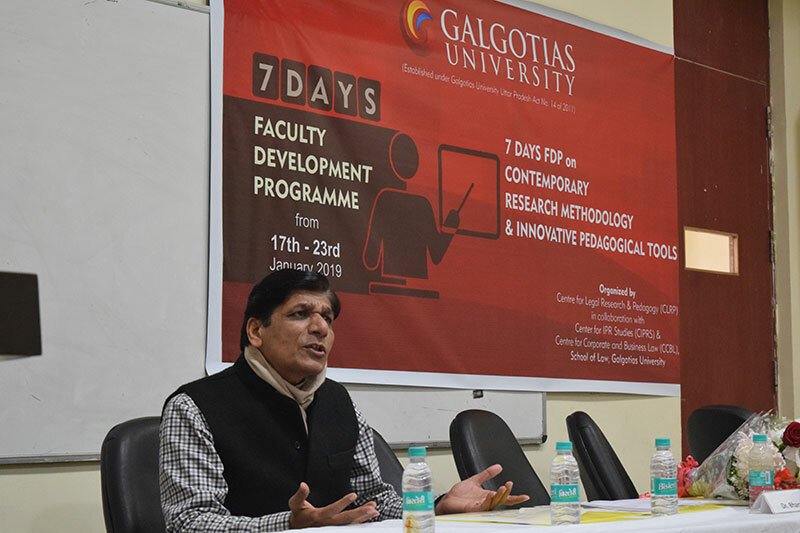 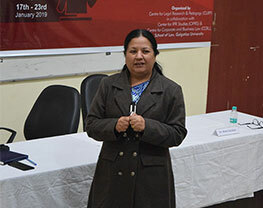 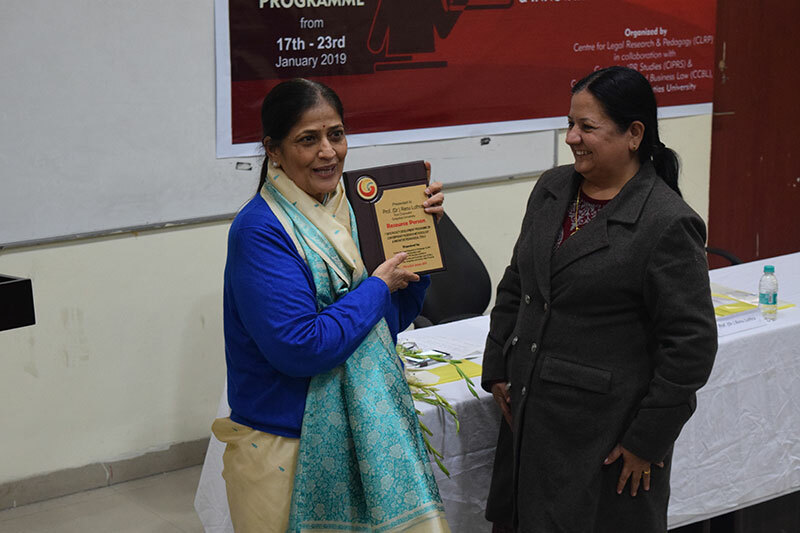 Centre for Legal Research & Pedagogy (CLRP) in collaboration with Center for IPR Studies (CIPRS) & Centre for Corporate and Business Law (CCBL), School of Law, Galgotias University has successfully organized 7 Days Faculty Development Programme (FDP) on Contemporary Research Methodology & Innovative Pedagogical Tools from 17th to 23rd January 2019 with overwhelming 93 Participants and 14 enlightening Resource Persons. 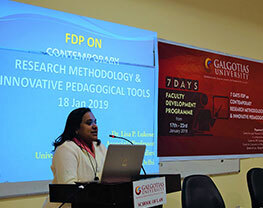 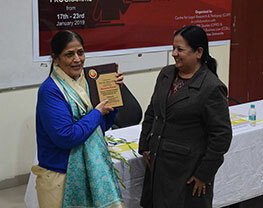 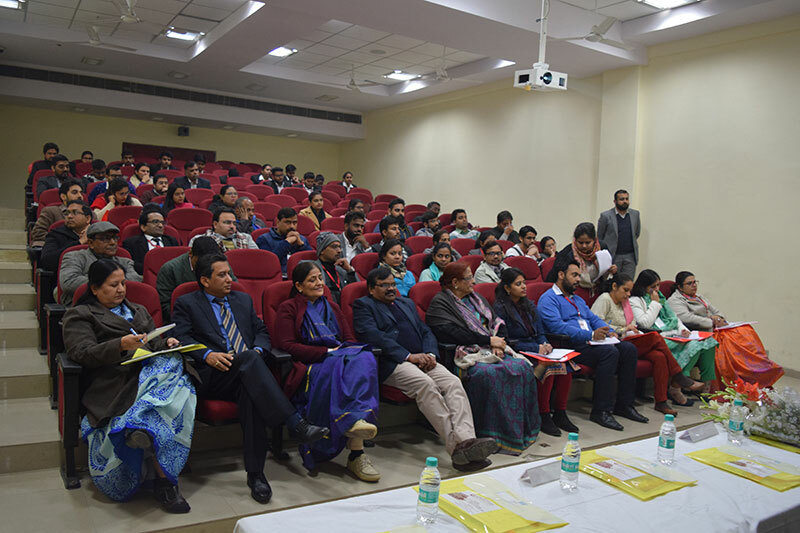 The FDP was designed to deliberate on the recent challenges and trends in Research Methodology and changing facets of teaching learning process in contemporary India. 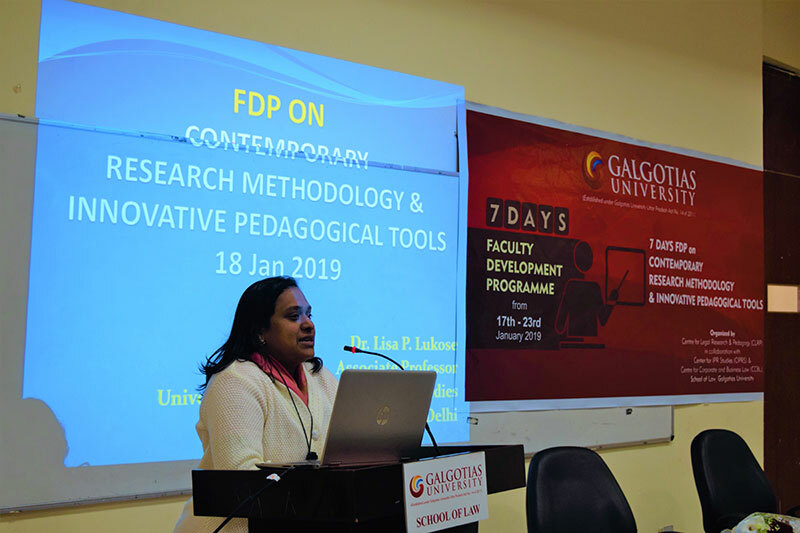 The FDP witnessed how Innovations and Technology has equipped the pedagogy and research to enhance and enrich the teaching learning process altogether to nourish fast-forward generations prioritizing outcome-based education. 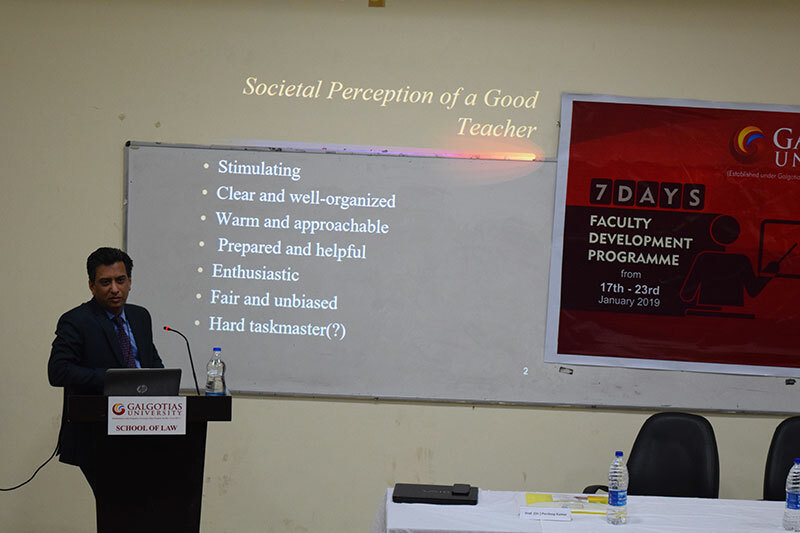 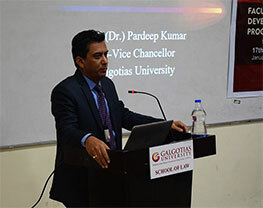 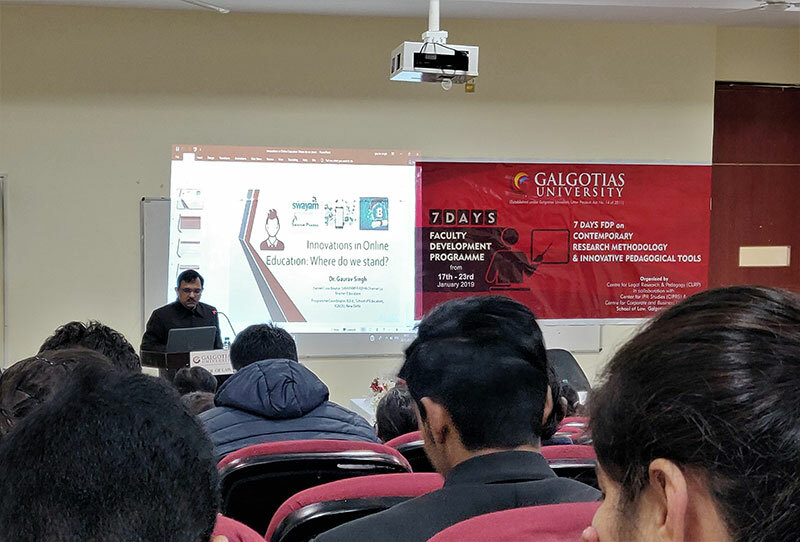 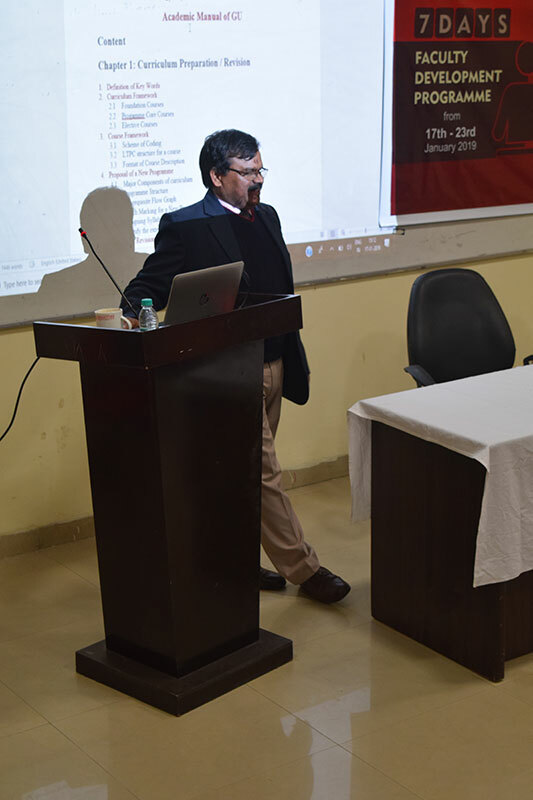 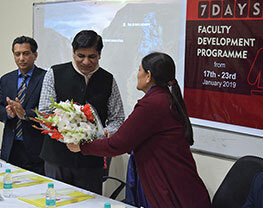 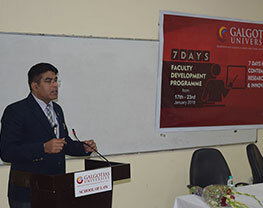 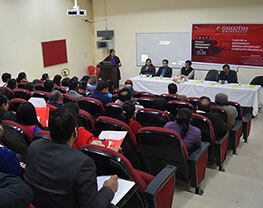 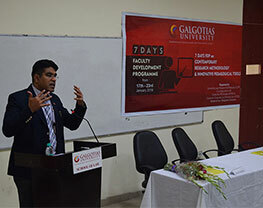 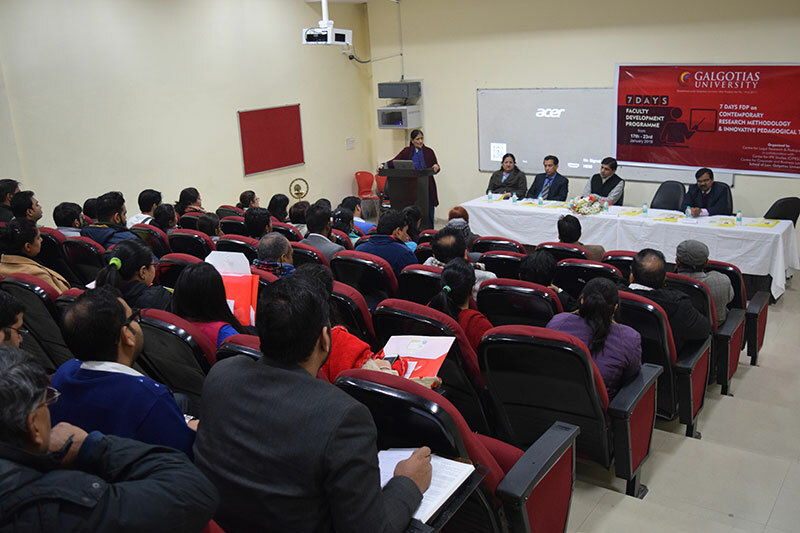 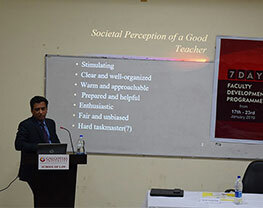 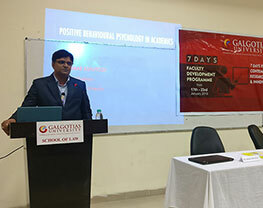 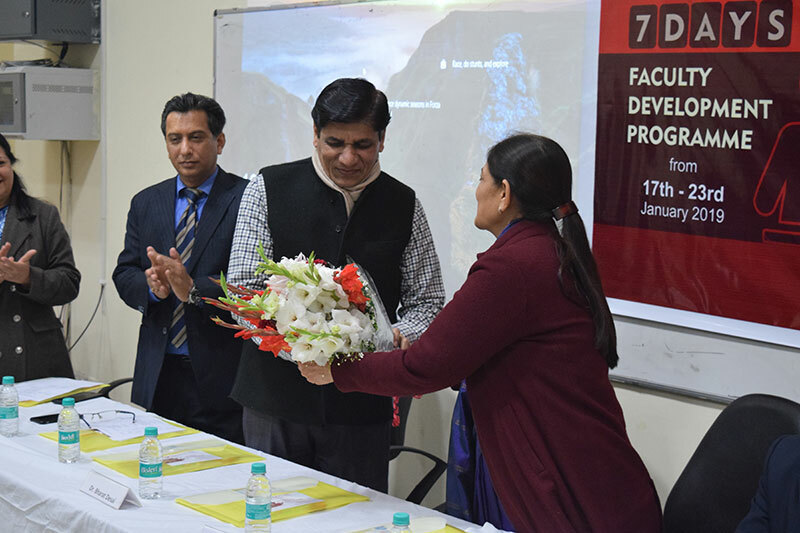 The seven days FDP was graced by Chief Guest Prof. (Dr.) Bharat H. Desai and other eminent speakers were Prof. (Dr.) Tarun Arora, Dr. Lisa P. Lukose, Prof. (Dr.) Renu Luthra, Dr. Gaurav Singh, Prof. (Dr.) Pardeep Kumar, Prof. (Dr.) Siba Ram Khara, Prof. (Dr.) Kiran D. Gardner, Dr. Kumar Ashutosh, Dr. Sanjeev Kumar Jain, Dr. Mehnaz Najmi. 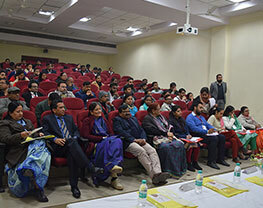 The Experts emphasized on Research, Academic Planning, Challenges in Teaching, Teaching to Self-Learning, Innovative Pedagogies, Technologies in Teaching & subsidiary components of Teaching, Cotemporary Research Methodology, Statistical Softwares & Plagiarism, Academics: Innovations, Technology & IPR, Role of Innovation in Online Education, Positive behavioural psychology in Academics, Future & Growth of Academics.